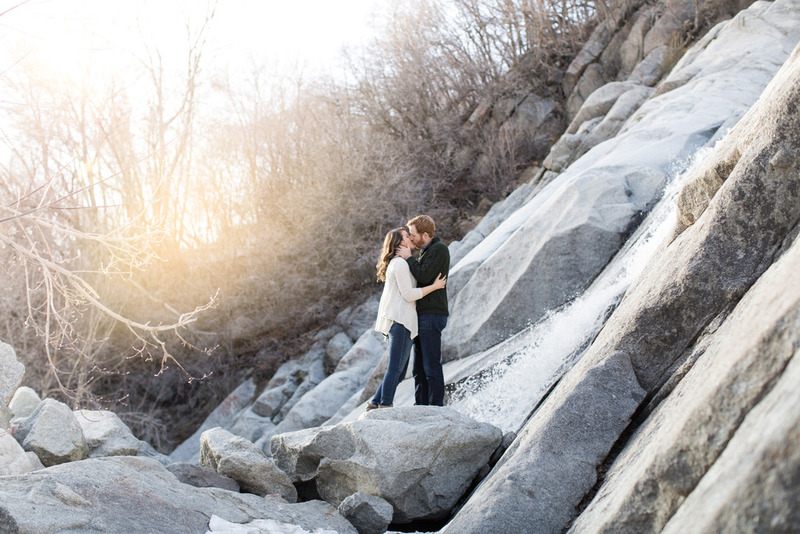 For this engagement session in Utah I set out to find the perfect location about 2 hours early so I could look around a bit. I’m so glad I did! While driving up the canyon to look for spots I noticed a few cars parked off on the side of the road and decided I would check it out. What I found was an unmarked trail leading off towards the mountain. After a short literally 5 min hike I found myself at the base of a beautiful water fall surrounded by granite boulders and water cascading down the rocky Cliffside. 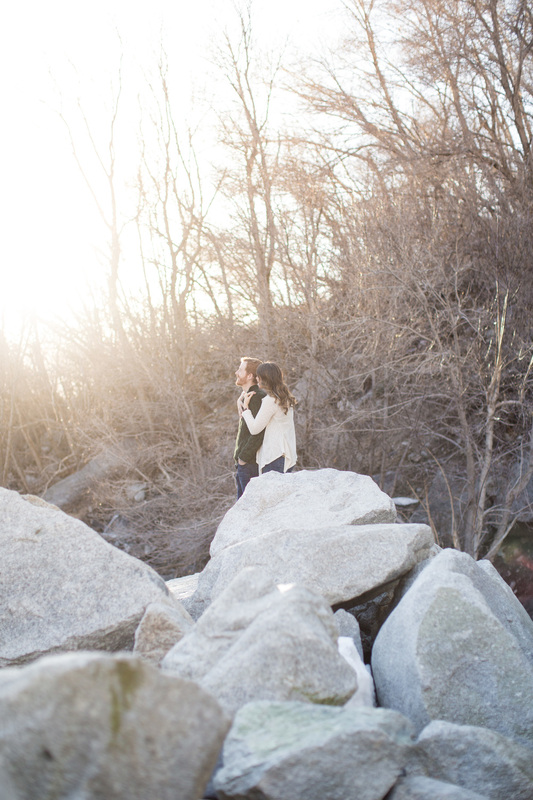 If you follow my work you know by now that I LOVE shooting around rocks and cliffs and anything with an epic view! 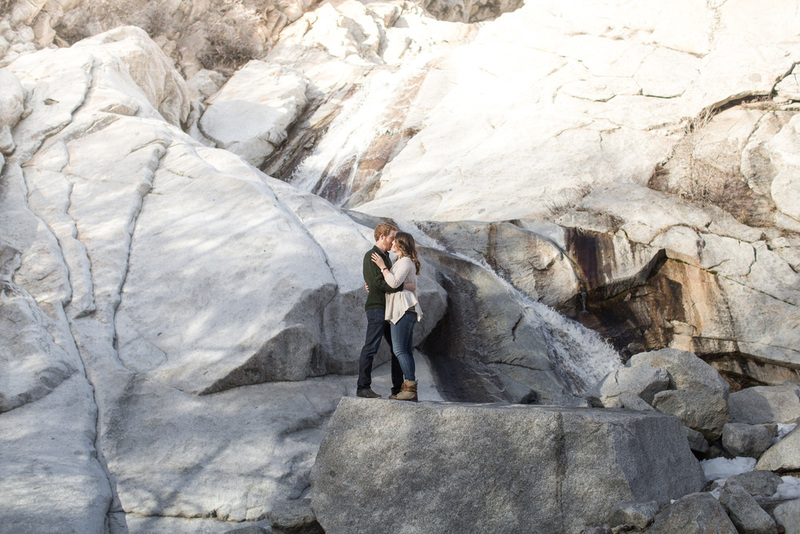 This couple was so awesome not only did they let me drag them around the big boulders but we ended up hiking about 70 feet higher to get to the top of the falls! I also took my Pentax645 along and took a few shots! The film shots are at the end and pretty much right out of the camera! I would love to hear what you think of this session! Thanks for following my work!